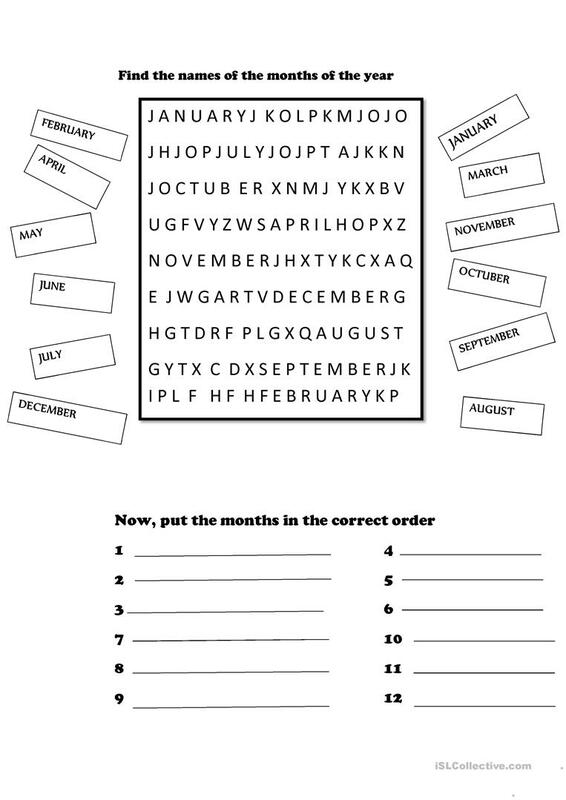 Students have to find the names of the months and then put them into right order. Also they have to complete the missing letter of the days of the week. I found it very useful! The above downloadable teaching material is intended for elementary school students and kindergartners and nursery school students at Beginner (pre-A1) level. It is useful for improving your class' Spelling skills. It is focused on the topic and words of Days of the week.